For patients who have had a heart attack, cardiac surgery, or those living with peripheral artery disease (PAD), Hartford Hospital’s Cardiac Rehabilitation Program can make all the difference in their recovery and return to health. The program has provided patient care to the community since 1982 and is considered the gold standard for treatment of patients with cardiac and pulmonary diseases. Over the course of the program, up to 36 sessions, patients participate in EKG- monitored exercise and receive personalized counseling on how to eat healthier and improve physical endurance and strength. They also learn how to better manage stress, receive medication education and are provided with resources to improve health outcomes. 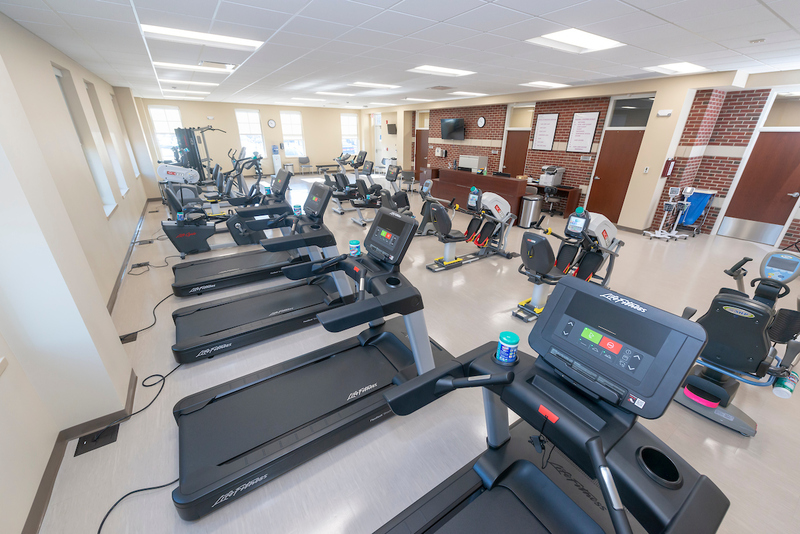 To make care more convenient for patients, Hartford Hospital recently added a third Cardiac Rehab location in Glastonbury. The location opened February 5. Cardiac Rehab programs are also available in Farmington and on the main Hartford Hospital campus. “Our new space in Glastonbury is state-of-the-art and beautiful,” said Flaherty. The brand new space boasts 3,000 square feet, modern exercise equipment and two showers. It’s conveniently located right off of Hebron Avenue. Medical supervision is provided by a cardiologist and specially-trained Cardiac Rehab staff. Hartford Hospital’s Cardiac Rehab program is nationally certified by the American Association of Cardiovascular and Pulmonary Rehabilitation. A physician referral is required to participate. To learn more and download a referral form, visit https://hartfordhealthcare.org/services/heart-vascular/departments/cardiac-rehabilitation.